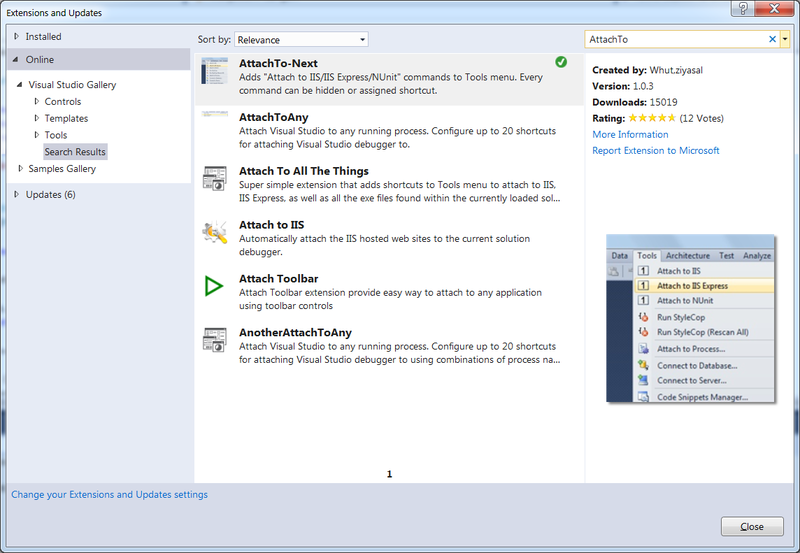 What to share with you one more cool trick – how to save few seconds on attaching Visual Studio for debugging Acumatica ERP or Customization Library. And one of the apps I really like there is “Attach To” plugin. It is super simple and has just few buttons, but in the same time it does essential thing – attaching to IIS process with one click! May be it is really big deal, but as less routine operations you have, as more interesting you work becomes!